Interesting article. This is where you have to weigh your options if you are bald and want to pursue this: Hair or Health? Interesting article on the economics of ordering pizza. The math of why bigger pizzas are such a good deal is simple: A pizza is a circle, and the area of a circle increases with the square of the radius. So, for example, a 16-inch pizza is actually four times as big as an 8-inch pizza. New Years Day, 2011. 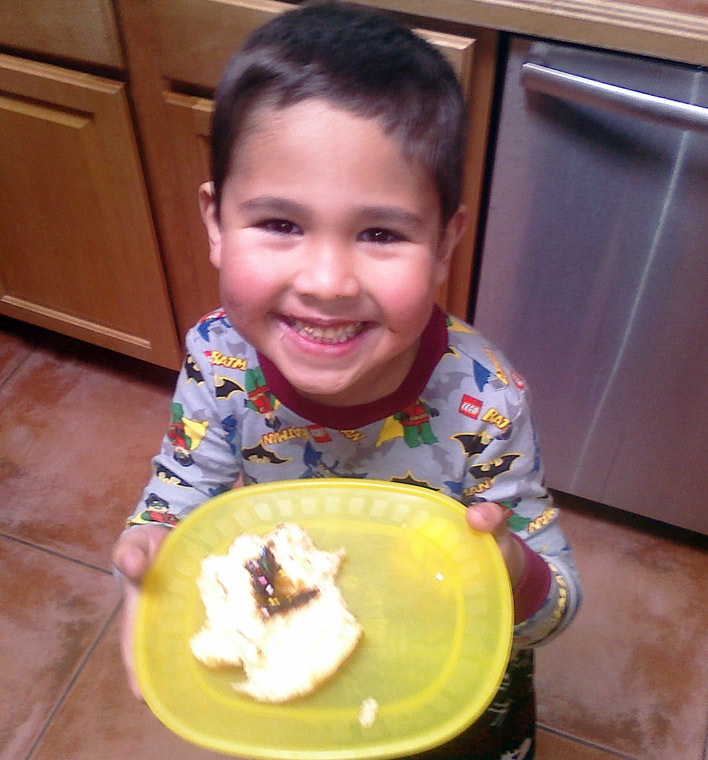 Gavin’s first breakfast of the year = Donut. Eaten in his unique way of “Toppings Only”. Nice. Buy your Jesus Toaster here. “Are you going to post about this?” Tina said tonight, as I ran out to the patio to snap the above pic. “Yes, Dammit.” I said. “I must warn others.” I continued to eat ice. I was on my 5th or 6th mouth-full. Earlier, Tina kicked off the harvest season (Labor Day is today … the last day of Summer) by snipping off a few of the orange peppers from our plant. Curiously, I agreed to cut one open and have a taste. I sliced off the stem and simply put the tip of my tongue on the pepper’s flesh. What started as a slight sting slowly grew into agony. 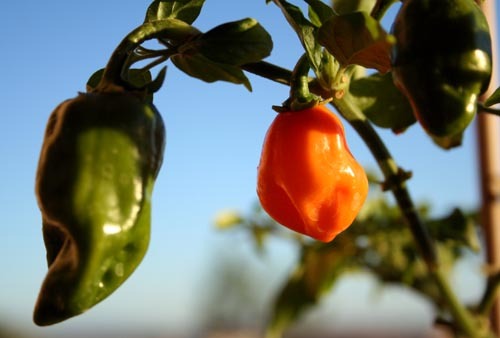 Habanero chili peppers are rated 100,000–350,000 on the Scoville scale. Conservatively, that’s about 40 times hotter than a Jalapeño. I didn’t know that when I bought a baby plant at a local nursery this past spring.